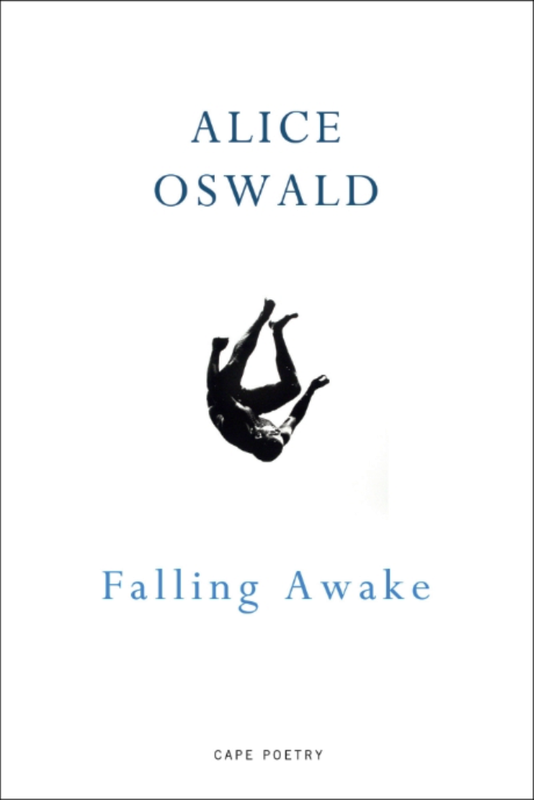 The Poetry Book Society Choice for Autumn 2016 was Alice Oswald’s new book – Falling Awake. This is an astonishing book of poems and has won some literary prizes. In the book, Oswald is not just close to nature, but inside it, and she demonstrates how elements of nature are interlinked, and how nature affects our lives , but also has a life of its own. The first poem A Short Story of Falling begins “It is the story of the falling rain/ to turn into a leaf and fall again/ it is the secret of a summer shower/ to steal the light and hide it in a flower”. These dramatic images – a shower stealing the light – continue in all the poems. In Fox, the narrator hears ” a cough” in her sleep and it is ” a fox in her fox-fur/ stepping across/ the grass in her black gloves/ [which] barked at my house”. In other poems, we hear of a badger “still with the simple heavy box of his body needing to be lifted” being “hard at work/ with the living shovel of himself”. In “A Rushed Account of the Dew”, there’s an amazing image of water on a plant, as the poet imagines the dew “descend/ out of the dawn’s mind”, and affix “a liquid cufflink” on to a leaf. In Shadow, the poet describes the shadow as having ” a flesh parachute of a human opening above it” – as you see, there’s a vivid imagination at work here. There are many more images of falling in the subsequent poems. I’m only half way through the book and will return to it in the blog. I agree with the Guardian reviewer that “I cannot think of any poet who is more watchful or with a greater sense of gravity”. This week, we’ve had cold, but very bright days, especially in the morning. Having cycled past Seafield Pond (good photos) on Monday and seen a gathering of ducks on the grass verge, I ventured back there on foot on Tuesday – in the morning sunlight. 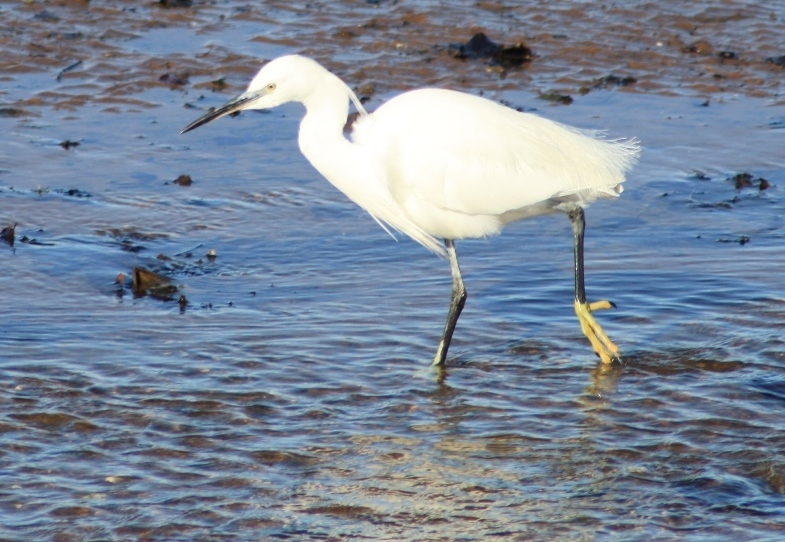 The ducks were gone, but over the wall on Belhaven Beach, there was a scattering of seagulls, some oystercatchers and curlews, but also 2 little egrets (photos, video and bird call). As I got my camera ready, there was a sudden squawking, a brief flurry of wings by both birds, and one took off for the pond. 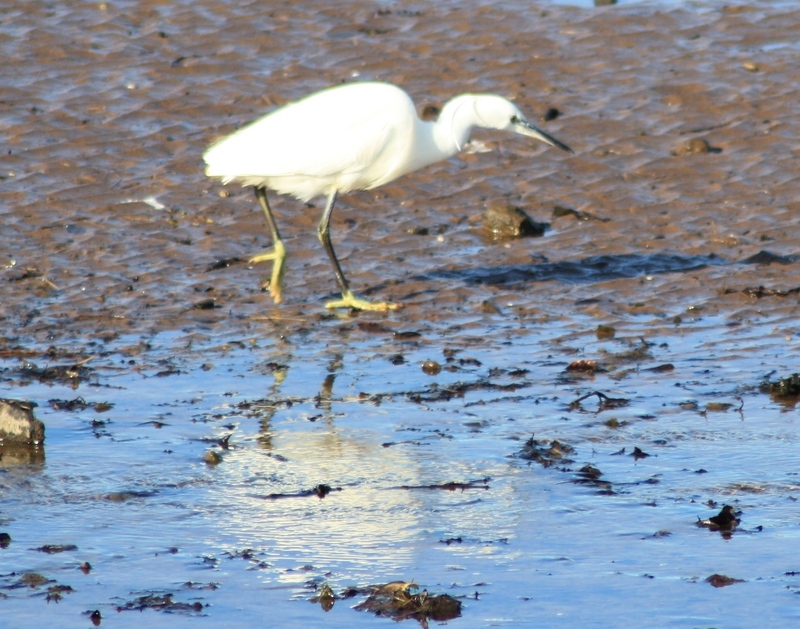 I managed to get two photos of the constantly moving little egret. They are not the clearest of photos and maybe, I should have used a sports setting on my camera. However, they do show the elegance of this bird, with its long beak, tiny eye and large yellow feet, which help them to steady themselves on the slippery sand below the water. In second photo, I like the shimmering reflection of the bird’s body in the water, its shadow (with flesh parachute of a bird opening above it, as Oswald might have put it) and the corrugated sand. While the egrets and oystercatchers are nervous birds and will fly off if you get anywhere near them, the swans on Seafield Pond simply float towards you. 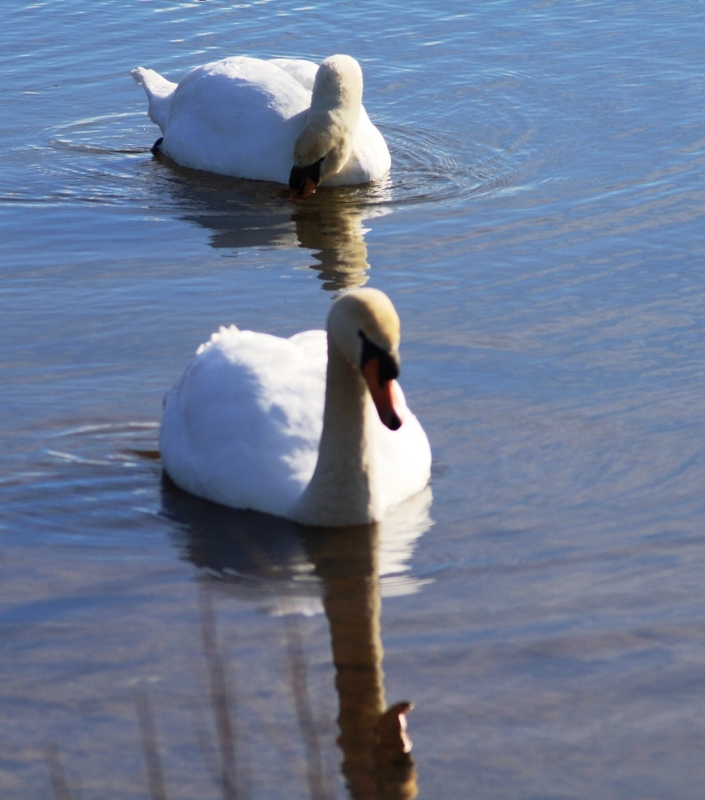 OK – they are looking for food, but I also think that swans are narcissistic birds. They glide toward you, inviting you to photograph their haughty serenity. They move slowly, like elegant models on a catwalk, then dip their heads in the water. The first photo shows 2 swans coming towards the bank, where I’m standing at the water’s edge. 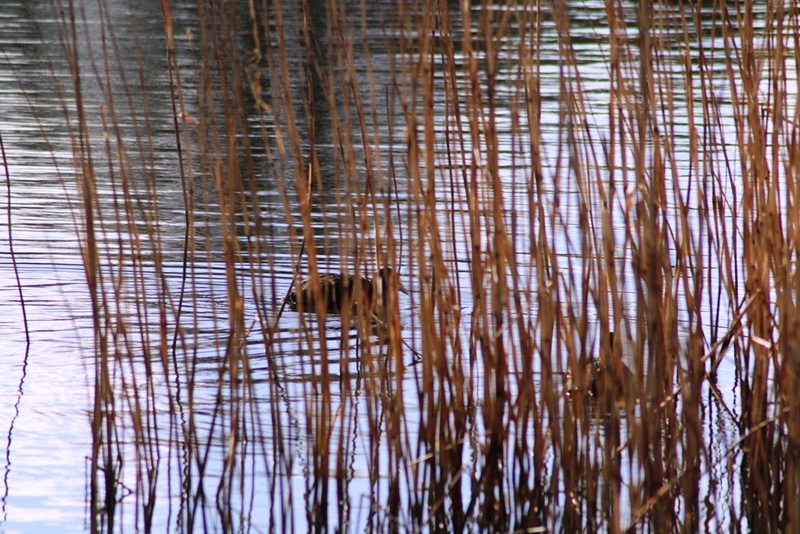 There are other birds, such as coots, but these have swum away in panic and have hidden behind the tall reeds (2nd photo). See the causal elegance here, with the swans more interested in their own reflections than the presence of a would-be photographer. The first swan pushed its head under water a few times and after several attempts, I managed to get a shot with water dripping from its beak. Look at the perfect outline of its body, the giraffe like neck and its body like a small iceberg. 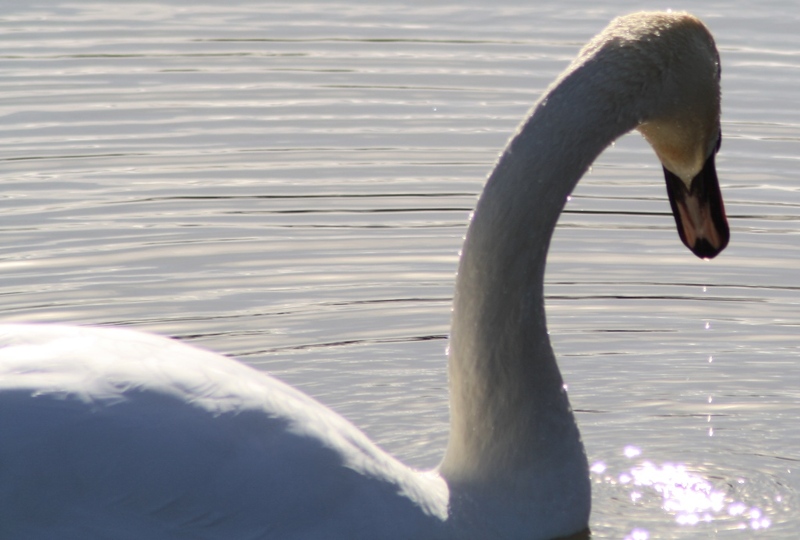 You can watch swans all day.